Grapes, sour cream and brown sugar — how can you go wrong? Few things raise Minnesotans’ collective glee quite like when our frosty state earns mention in the New York Times — particularly when America’s paper of record gets Minnesota very, very wrong. Remember “Mort’s”? Condemnation was swift as it was harsh. 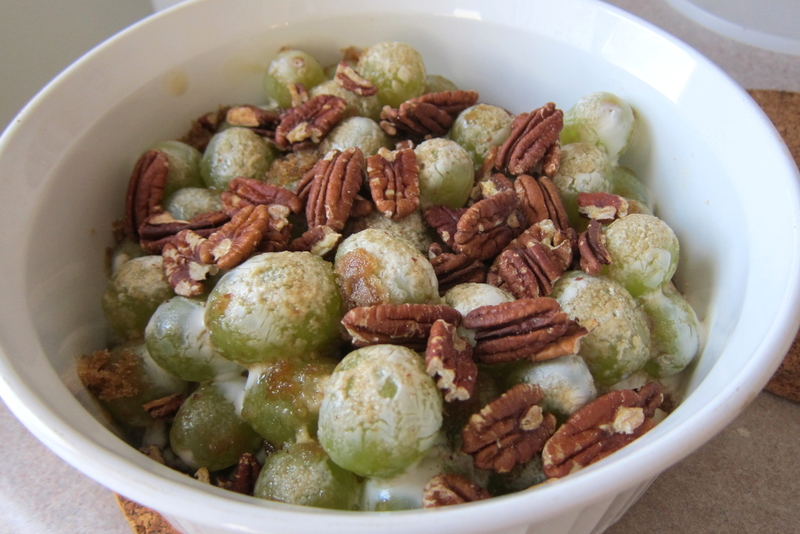 Minnesotans had never even heard of grape salad, let alone made it part of they holiday traditions. What were they thinking? How could they give our beloved wild rice to, ugh, Wisconsin?? Those smug New Yorkers really don’t have a clue. But I, being an adoptive rather than native Minnesotan, like to think I keep a more open mind about these things. At least some MinnPost commenters claimed a history for the dish in the state, and, history aside, maybe it was just a good recipe. I had to try it. And wouldn’t it have been delicious if this year’s ironic grape salads became next year’s — and many years’ to come — beloved tradition? Well, safe to say there’s no danger of that happening. I made grape salad this year, and let me tell you: it is not good. You know how some really simple recipes end up greater than the sum of their parts? Grape salad is less. The consensus at the table was we’d have been better off with a bowl of plain grapes and a separate bowl of sour cream. It’s not helped by its appearance, either: the heat of the broiler melts the sour cream coating the grapes just enough to give the impression of — moldy grapes. Yum. So no, New York Times, grape salad is not Minnesotan. But what’s worse, it’s not even very good. Grape salad is far and away the worst thing on this plate. 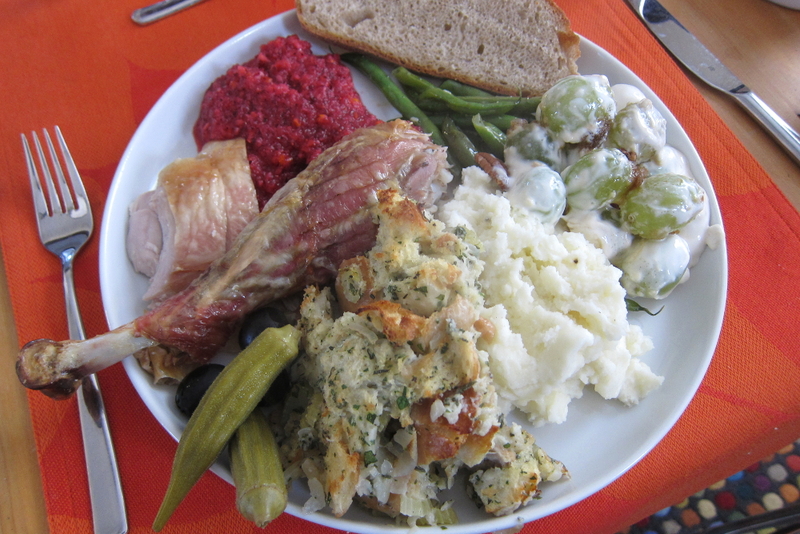 This entry was posted by Tom on Friday, November 28th, 2014 at 1:17 pm and is filed under Holidays, Minneapolis, Recipes. You can subscribe to responses to this entry via RSS.